Nominations are due by Friday, March 24, 2017 at 5PM. Elections will be held from Friday, March 31 - Sunday, April 16 - midnight. 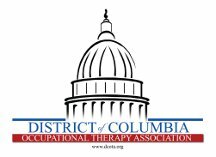 The new board members will be announced at DCOTA Annual Conference on April 29. My name is Jaime Schilling, and I am a Post Professional Doctoral student in the Occupational Therapy Department of Quinnipiac University. I am a co-investigator in a study exploring how school-based occupational therapists who spend at least 75% of each week working in public schools within the United States, are supporting student attainment of keyboarding skills for children in grades kindergarten through twelve. Through this brief survey, your answers will be helpful in enhancing our knowledge of the practice patterns and intervention approaches school-based occupational therapists are using in order to promote the development of keyboarding skills in students attending public schools. This survey should take no more than 10 minutes to complete, and your responses are completely anonymous. 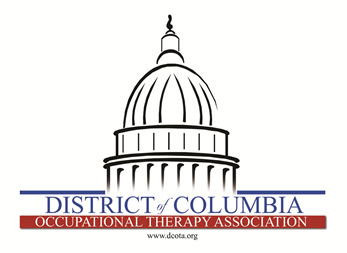 It would be greatly appreciated if you could pass this survey on to additional public school-based occupational therapists working with children, in grades kindergarten through twelve, you know or work with, to help us obtain additional participants. This study is strictly voluntary and your participation is in no way required. If you have any questions please contact Jaime Schilling M.S., OTR/L at Jaime.Schilling@quinnipiac.edu or Mindy Garfinkel OTD, OTR/L at Mindy.Garfinkel@quinnipiac.edu. We appreciate your participation. Thank you. If you are concerned with the effects of alcohol abuse and addiction and want to help raise awareness of its dangers, we encourage you to share your vision and have a chance to win money to cover your educational expenses.